The latest Bulletin of the Network was just sent out and should be arriving to in-boxes shortly. The Bulletin can also be found below for those not subscribing or not yet part of the CNHH mailing list. The postcards and personal photographs from Dr. Keith Spicer’s 1960 trip through Europe, Africa, and Asia, were produced during the research he conducted on the trip for a doctoral thesis, better known today as A Samaritan State? 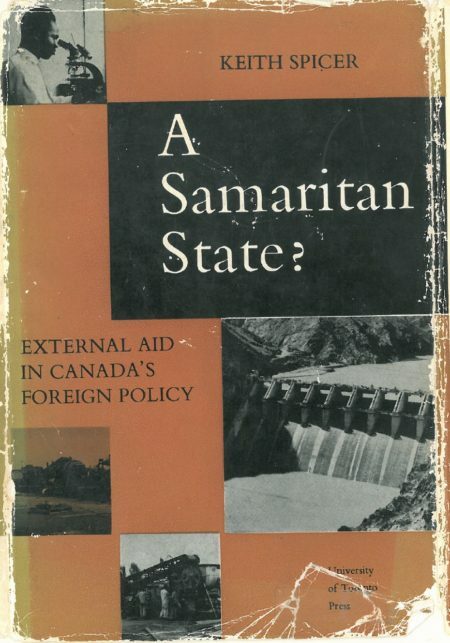 External aid in Canada’s foreign policy (1966). On the same occasion, he laid the foundations for Canadian Overseas Volunteers, which would become Canadian University Students Overseas (CUSO). These two maps tell the story of this trip, in his own words. Click the arrows below to take this voyage with him. * Tyler Owens, research assistant for the CNHH paid by I-CUREUS project put together these ESRI Story Map presentations as part of the preparations for A ‘Samaritan State’ Revisited Conference in December 2016 . We thank the MacOdrum Library Map specialist Rebecca Bartlett for ther technical advice. Attending: Dominique Marshall, Will Tait, Sundas Khan, Nassisse Solomon, Stephanie Bangarth, Kevin Brushett. Skype: Matthew Burch, Sarah Glassford, Erin Edwards, Kevin O’Sullivan, Laura Madokoro (10:15-11:15). Notes: Sandy Barron. 1) Renew connection to CASAID? 2) Match International Archives at Carleton – Dr. Marshall will email members about progress of file organization. The second Bulletin of the Canadian Network on Humanitarian History was sent out last week. For any who missed it, the full text of the newsletter may be found below. This bulletin covers the upcoming Congress and Workshop in Calgary, some recent blogs, and the Network’s research activities and work with NGOs. The Canadian Network on Humanitarian History proudly announced the lauch of the Network’s new website with the release of its first newsletter to its membership. See the complete newsletter with recent posts, announcements and the activities of the Network below. New Publication: The Emergence of Humanitarian Intervention. Cambridge University Press recently published a new volume on humanitarian aid and intervention of potential interest to the community. 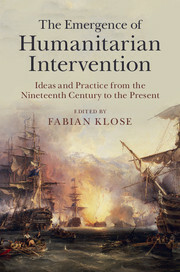 Edited by Dr. Fabian Klose of the Leibniz-Institut fuer Europaeische Geschichte, Mainz, The Emergence of Humanitarian Intervention: Ideas and Practice from the Nineteenth Century to Present presents articles by academics including Michael Geyer, Daniel Marc Segesser, Stefan Kroll, and Mairi S. Macdonald. In this post I will let you know my experience in Toronto at the offices of Plan Canada, a visit I made last week. Some weeks ago, Professor Dominique Marshall asked me to check some irreplaceable documents that Plan Canada had in their offices in Toronto, and that are part of the historical archives of the organization. These are basically letters and photo albums of some of their most important and lasting donors and sponsors. 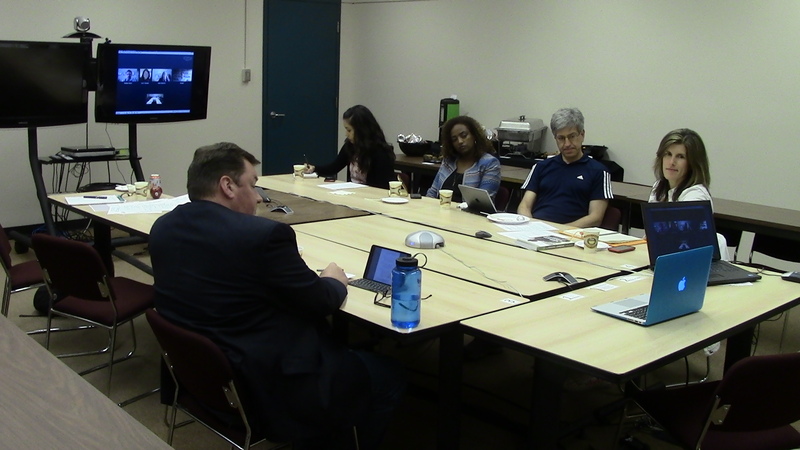 The Second Canadian Workshop on the History of Humanitarian Aid took place on 30 May 2015 at Carleton University in Ottawa. The event built on a workshop held last year where historians from across Canada, archivists from Library and Archives Canada and Carleton University Archives, a well as humanitarian practitioners from Partnership Africa Canada, Oxfam, and MATCH International Women’s Fund met to welcome Dr Kevin O’Sullivan from the National University of Ireland. Kevin was a catalyst for the first workshop in 2014 when he travelled to Canada to conduct research. In his latest book O’Sullivan has likened Irish and Canadian use of soft power through aid and development1. Under the organisation of Dominique Marshall, Professor and Chair of the Department of History at Carleton and former President of the Canadian Historical Association, a website was created after the 2014 meeting to link a growing online collaboration of aid practitioners, archivists, and academics interested in preserving the history of humanitarian action both in Canada and elsewhere. O’Sullivan returned to Carleton this year to brief the workshop and members of the Canadian Network on Humanitarian History (CNHH) on developments in the field and to continue to expand collaboration with European partners.